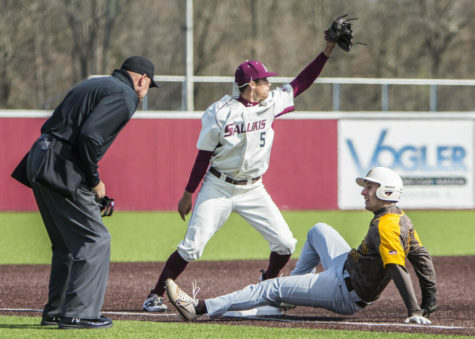 With conference play underway for Saluki baseball, the team will look to continue its recent success following a slow start to the season. 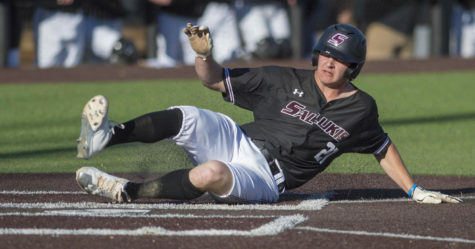 Just 11 games into the season, SIU was looking at a sub .500 season as they kicked things off with a 3-8 record, suffering sweeps to Jacksonville State and Louisiana Monroe. Since then, however, the Salukis have turned things around with an 11-5 record following the final game against Louisiana Monroe on March 4. 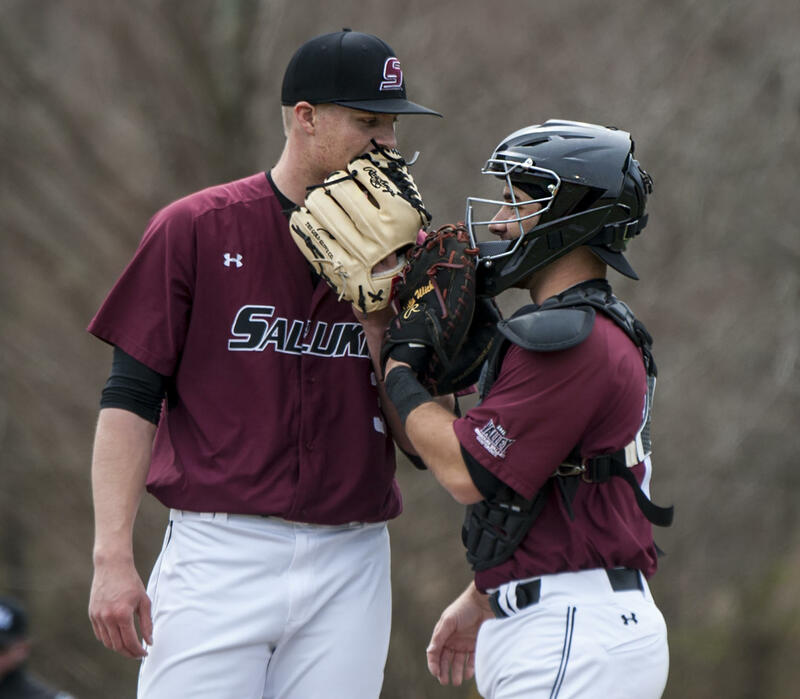 SIU’s five losses since then were nothing to laugh about, as two losses went to extra innings and two came at the hands of No. 24 Illinois. 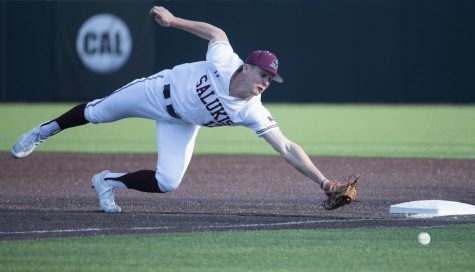 With that being said, the Salukis claimed one victory from the Fighting Illini and a series win against UC Irvine, three solid wins for the team’s résumé. 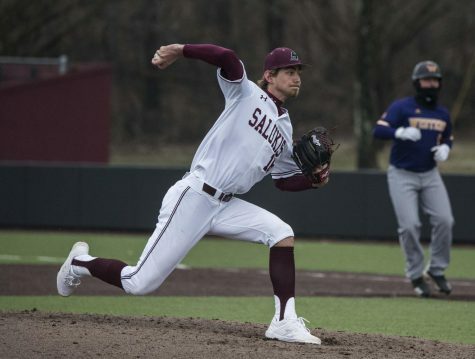 The main reason for the team’s success could be attributed to a variety of factors, as the Salukis have improved their game in a number of areas including starting pitching. Prior to the season, senior starting pitcher Michael Baird was selected to Preseason All-MVC Team, however, he struggled early in the year with a 7.71 earned run average. 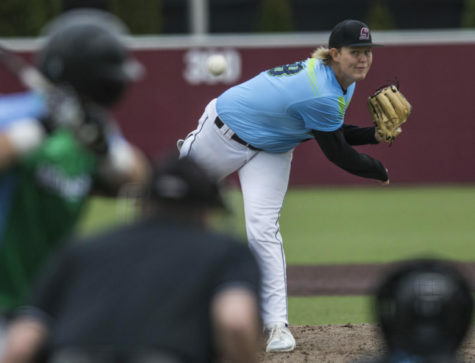 Since then, Baird has chipped away at the high ERA with a string of solid outings, including an eight-inning shutout against Northern Illinois, bringing his ERA to 4.08 at the time of writing. 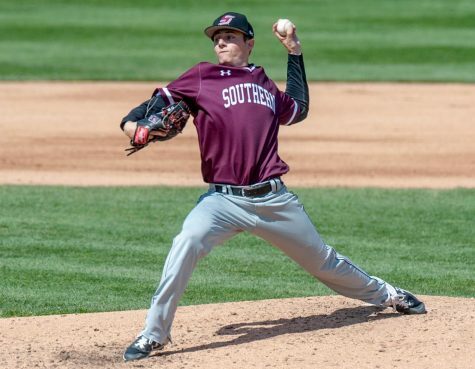 Southern also found its hidden gem in the rotation in the form of sophomore pitcher Brad Harrison. Harrison has made a name for himself in the Saluki lineup as he is currently 3-1 with a 3.29 ERA at the time of writing. Coming off a 0-3 season with a 7.09 ERA, the sophomore said that he has learned a lot since his debut at Southern. 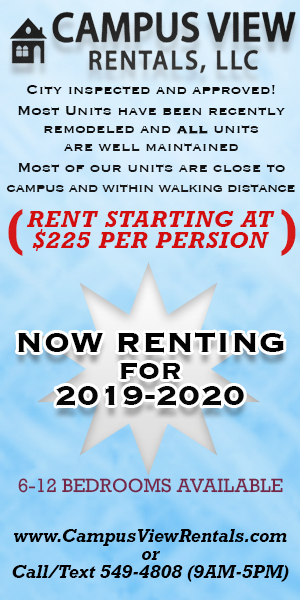 Head coach Ken Henderson said that he believes one of the reasons for his team’s slow start was the fact that the team had several new faces coming into the season. 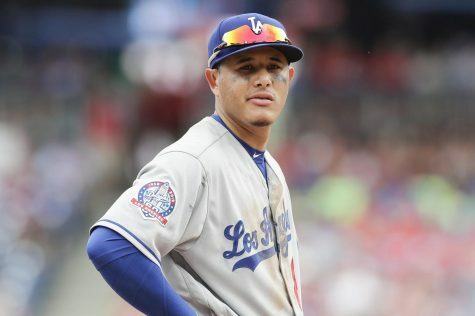 Aside from the lack of experience on the roster, the offense struggled outside of the batters at the top of the lineup. However, in recent games, the bottom of the lineup has featured SIU’s most production on offense. The most notable is freshman third baseman Grey Epps, who is arguably the team’s most improved offensive player. “You throw a freshman into Division I games, it can take a while, but he is making huge strides,” Henderson said. 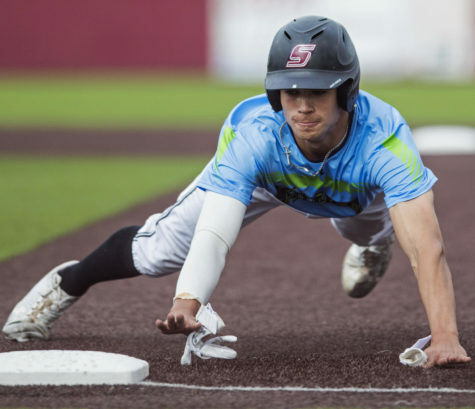 Epps entered the season in a battle for a starting position at third base but has proved to be one of SIU’s best infielders, as he has only one error is 22 appearances. However, when it came to batting, Epps did not find his first hit until his sixth game of the season. 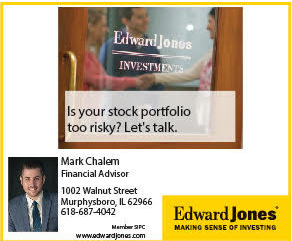 An owner of a .169 batting average at the time of writing, Epps looks like a new hitter, raising the average all the way from .057. On March 20, Epps turned in a three-hit effort at SIUE and cranked his first career home run on March 30 against Illinois State. Players in the top of the lineup have said that with the bottom of the lineup now producing, it is providing more opportunities for them. 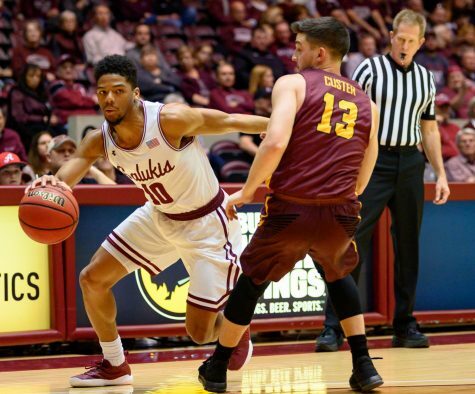 Southern kicked off conference play on March 30 with a three-game series against Illinois State, who was picked to finish fifth in the MVC in the preseason poll. In that series, SIU took two of the three games to open MVC play with a 2-1 record. Although the games have more importance now, Southern’s approach has not changed. As the conference schedule continues to unfold, the players look forward to playing the top teams in the conference. With the improvements the team has made, Henderson said that the team has not reached its full potential. The Salukis will be back in action on April 4 with a home game against Austin Peay and will continue conference play on April 6 with a three-game series against Valparaiso.